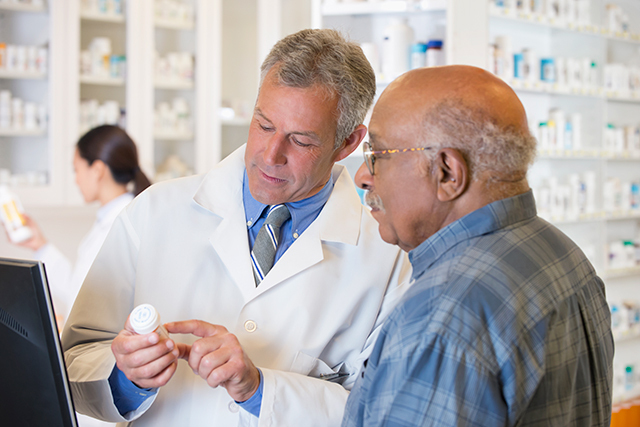 A patient discusses a new oral medication regimen. The United States Pharmacopeia (USP) <800> regulations are related to the safe handling of hazardous drugs.1These standards were developed to protect healthcare workers from hazardous drug exposure and to minimize the risks of these to public health by ensuring a quality healthcare environment. Affected facilities are expected to be compliant with USP <800> by December 2019,2so you will likely hear much more on this subject over the next several months if you have not already. 1. USP General Chapter <800> hazardous drugs – handling in healthcare settings. http://www.usp.org/compounding/general-chapter-hazardous-drugs-handling-healthcare. Accessed May 11, 2018.